Categories: buying a commercial building, property condition assessment // Tags: buying a commercial building, buying a commercial building in Kansas, buying a commercial building in Kansas City, buying a commercial building in USA, buying a commercial building nationwide, property condition assessment. While there are an unlimited number of factors that influence the decision in buying a commercial building, there are really only three main factors that should be considered when making that final choice. Return on Investment (ROI), vision and the condition of the building are what really guide an investor toward the goal of acquiring a new real estate investment. While investors and bankers always figure the ROI is the most important, the income stream is 100% dependent on the choice to order a property condition assessment (PCA). The obvious choice of a viable real estate investment is the Return on Investment (ROI). What can this property produce for the investor(s)? Is the projected income sustainable based on debt service, taxes, insurance, maintenance and lease structure? This why we all buy real estate to begin with: to generate income, as well as create an asset that will benefit us 20 years from now. When buying a commercial building, think about what this property could become? A good portion of real estate purchases do not continue to be used in the same way as they did in the past. Albeit, a professional office building would most likely be used as an office building but may take on a new look and atmosphere. It would behoove an investor to always strive to improve the building, it ultimately increases lease rates and the profitability of the investment. Here is the one area where most investors and bankers fall short and can make the most impact on the ROI. Fully understanding the condition of the building is so important in short- and long-term financial strategies. 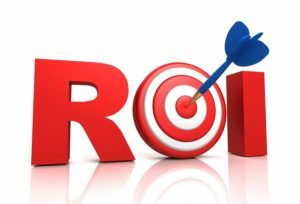 Often the ROI projections look better than they really are. A forecast of 8% net profit in the first year can instantly become -10% with the realization that the roof needs replacing or the main HVAC unit needs major repairs. 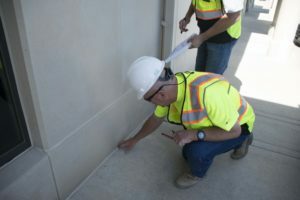 These are factors that are revealed in an extensive commercial building inspection report, also known as a property condition assessment. Many factors come into play when going through due diligence for buying a commercial building, such as location, zoning, history of the building, current tenants and use, parking, and aesthetics of the space. None are more important than these three factors when buying a commercial building: ROI, vision and the condition of the building. NCI utilizes their architectural, engineering and construction expertise to create and develop a high-quality PCA. These reports are customized for each type of real estate: office, retail, flex-space, industrial, hospitality and healthcare. If you are interested in protecting your real estate investment, contact us at 913-667-7774 or visit our website at www.nwc-i.com. Click here for a video about the property condition assessments we provide.